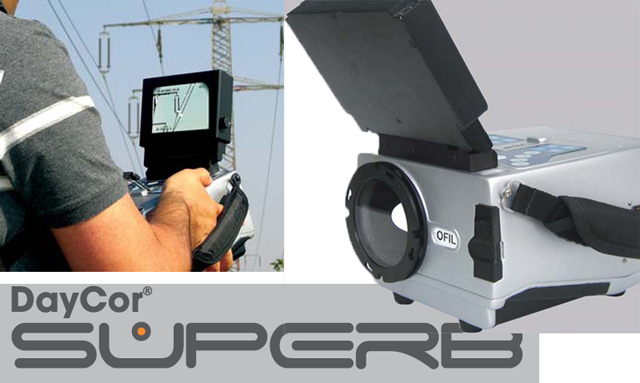 Our (Ofil) DayCor® SUPERB™ SolarBlind Corona Detection Cameras are available for RENTAL on a daily or weekly basis. Call us for pricing and availability. 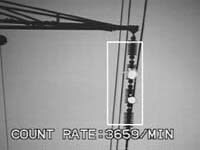 Save on cost of purchasing a camera and perform your own Electrical Corona, Arcing and Partial Discharge Inspection with Our DayCor® Superb™ Cameras! Please send us your contact information ("Contact Us" tab) so we can provide you with a price quotation for a week or longer rental. Our prices are very affordable! Forest fire detection and mop-up! The Superb Camera detects Photon Radiation in the UV Solar-Blind band (240 - 280 nm). Solar radiation in this band is absorbed by the ozone in the atmosphere and does not reach the earth's surface. 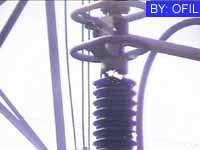 Detection in this band in full Sunlight can therefore be performed with negligible background noise and at high ratio of signal-to-background noise. Conventional optical filters cannot provide the necessary levels of Solar UVc Light Blocking and therefore regular UV sensors are blinded by normal daylight. The SUPERB Camera's Proprietary UVc Ofil Lindner Filter, invented by Dr. Malka Lindner and also applied by Dr. Pinhas Lindner, both Founders of Ofil LTD, only passes the narrow UVc band and blocks the sunlight UV from reaching the detector. The Superb camera is 100% Solar Blind with the highest sensitivity available of any commercial UVc Camera! Eklund Infrared is your Representative for the full line of Solar-Blind DayCor® Corona Cameras from OFIL Ltd. Please contact us (770-578-4435 or Jan Mobile: 404-434-1460) or (info@eklundir.com) for price and delivery on DayCor® UVc Solarblind Corona Detection Cameras. 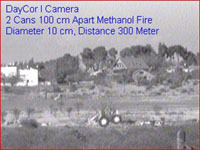 The picture to the right shows the Detection of invisible Methanol Fire in daylight conditions. The fire is not visible for the naked eye. The DayCor® Superb™ easily Detects Hydrogen & Alcohol Fires in Broad Daylight. Limited rental of full system depending on time of year! We have DayCor® Corona Cameras available for rental and purchase!